Butter has always been an essential ingredient in every meal preparation. Bland dishes become special and delicious masterpieces with the addition of butter. This dairy product comes in different types, sizes, and shapes, depending on the needs of the user. But just like any other food components available worldwide, butter has its own nutritional content that can either be good or bad for your body. 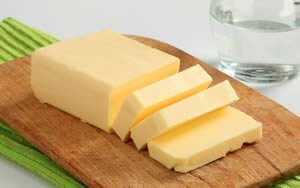 Despite the use of butter worldwide, some are still blaming this dairy product to be one of the causes of obesity and heart disease. Recent studies, however, revealed that butter is good for the health as long as it is eaten in moderate amounts. Butter contains numerous amounts of fat-soluble vitamins, including A, E, and K2. These bioavailable nutrients are essential to the different body systems including the immune, mental, and hormonal health. Vitamin A is a powerful antioxidant that also plays a critical role in better eyesight, improved skin condition, and neurological function. Vitamin E also contains antioxidant properties that are mainly used for hair and skin care. Vitamin K2 may rarely be known to some people. However, this vitamin offers numerous powerful effects on the body. It is responsible for calcium metabolism that is linked with diseases including osteoporosis, cancer, and cardiovascular diseases. The best source of this essential vitamin comes from the grass-fed cows. Butter contains ample amounts of short and medium chain fats. These are essential for metabolizing other kinds of fats in the body. They are also responsible for improving satiety, increasing the rate of metabolism, and supporting healthier immune system. Some studies showed that saturated fats have no association with any diseases including cardiovascular ones. In fact, these fats can increase the good cholesterol in the body while decreasing the bad ones. These healthy fats greatly help in brain development and optimal functioning. Butter, especially the grass-fed type, can reduce the risk of heart attack and other cardiovascular diseases. According to studies, butter consumption can reduce the risk to about 69% due to the high amount of Vitamin K2 that this high-fat dairy contains. Is butter bad for you? No, butter is a good source of 4-carbon fatty acid butyrate that offers various effects to health. It contains anti-inflammatory and protective effects on the digestive system for better digestion. The amount of butyrate that butter contains also aids in maintaining weight through an increased metabolism. Butter is a good source of fatty acid known as conjugated linoleic acid. This type of fatty acid improves the body through proper metabolism and better weight loss management. Also, studies showed that it contains anti-cancer properties for a more improved body. Butter is known to be a high-fat dairy product. Some believed that it can lead to obesity and other cardiovascular diseases. However, studies revealed that the consumption of this kind of products can significantly reduces the risk of obesity. Butter contains a high amount of beta-carotene. This promotes better eyesight as well as protecting eyes. It also helps in stimulating cell growth to prevent cases of cataracts and reduces the occurrence of macular degeneration. Lastly, the components found in butter helps in decreasing the risk of eye-related problems such as angina pectoris. What Are the Problems of Eating Butter? You have got an answer for the question "is butter bad for you", however, despite the health benefits that butter has offered, there are people who encounter problems with its consumption. Some of the most common issues involved with the use of butter include the following. Casein is a kind of protein found in dairy products including butter. This can trigger inflammation especially in the gut and digestive area. Butter contains a small amount of casein that some people won’t be able to tolerate even when taken in moderation. Most dairy products come from animals that are given antibiotics and hormones to produce more milk. This milk undergoes several processes such as pasteurization for the removal of fats. Additionally, they are also injected with synthetic vitamins for better nutrition and stabilization. Some people tend to flare-up with the use of these products which contain higher levels of pro-inflammatory substances as compared to the regular grain-fed sources. The consumption of saturated fats including butter with refined grains can increase the inflammation due to higher levels of sugar in the body. It is important to balance the diet with the right amount of fruits and vegetables and a limited amount of fats. What Are the Healthy Kinds of Butter to Use? Butter comes in different kinds depending primarily on its source and method of production. Although the answer is no to the question "is butter bad for you", below are some of the best butter to try in order to maintain a healthy body. This type of butter contains higher levels of soluble vitamins and healthy fats. The products under this category have lower amounts of inflammatory casein that can affect the body. They come from cows that are grazing on green pastures. This type of butter contains the original A2 genetics, some of which come from African, Indian, Jersey, and Normande cows. This type of butter is casein protein free. It only contains butterfat and fat-soluble vitamins in its composition. Due to the process it undergoes, this type offers higher smoking point, making it a healthier option in cooking. This type of butter is also less inflammatory compared to others.